Just a week ago, I visited the Grand Teton National Park. 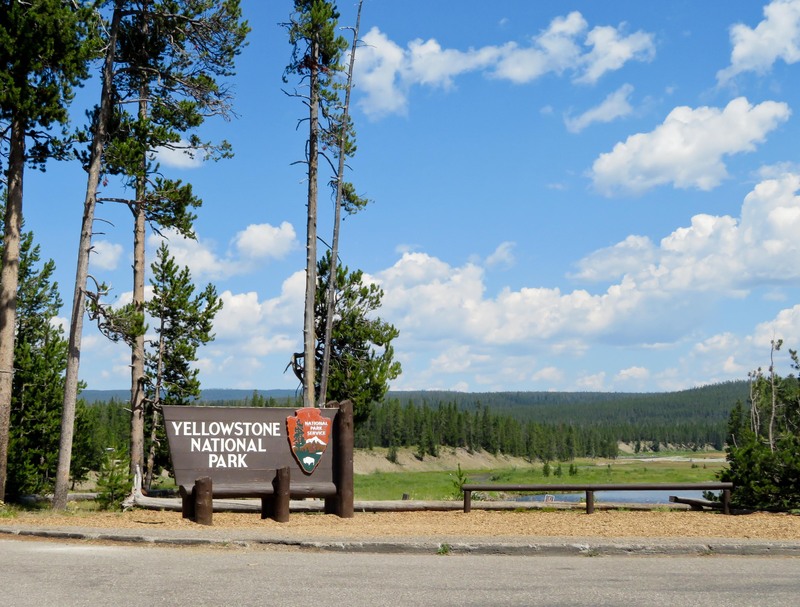 I was a little bummed that I didn’t have the energy to visit Yellowstone National Park even though it was just a short drive away. Lucky for me, I was sent back to Jackson Hole for another day with new colleagues who were eager to explore the surrounding area. 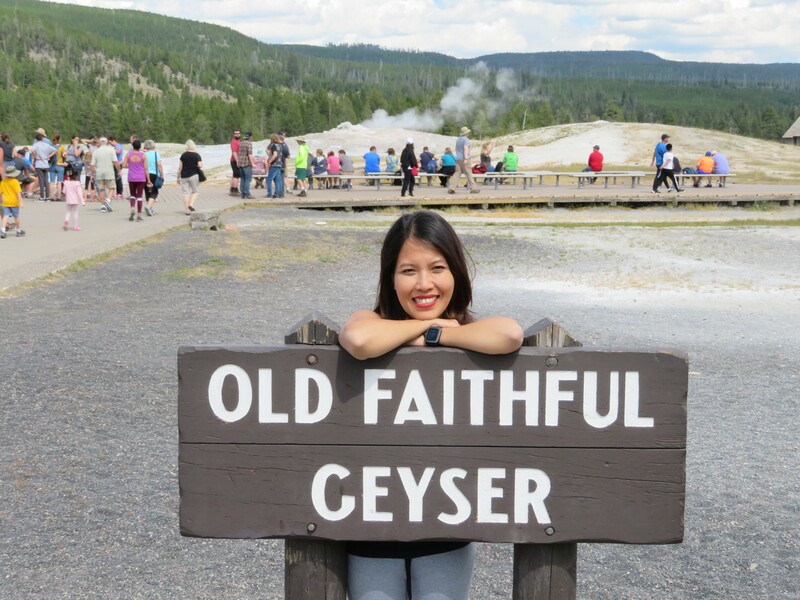 I visited Yellowstone National Park in July 2018. 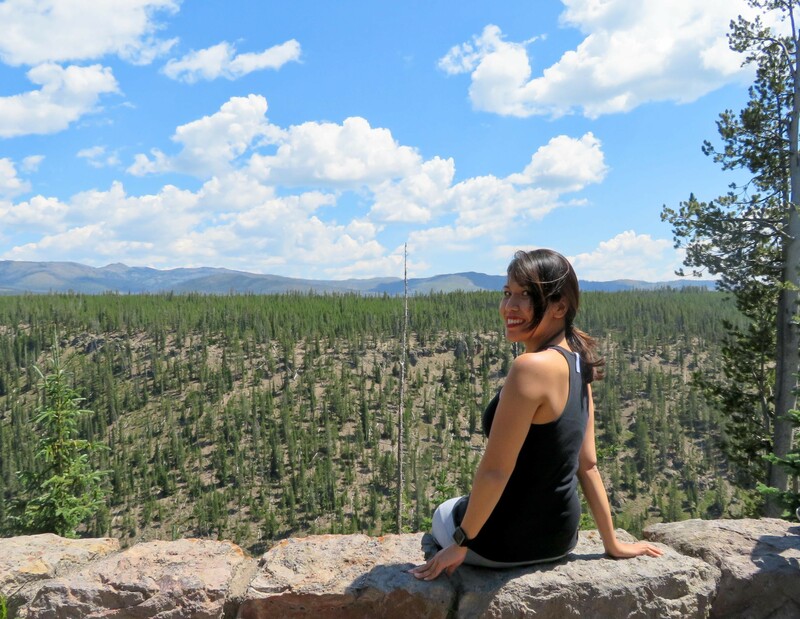 It was busier than Grand Teton National Park but I was still able to enjoy the beauty around me. 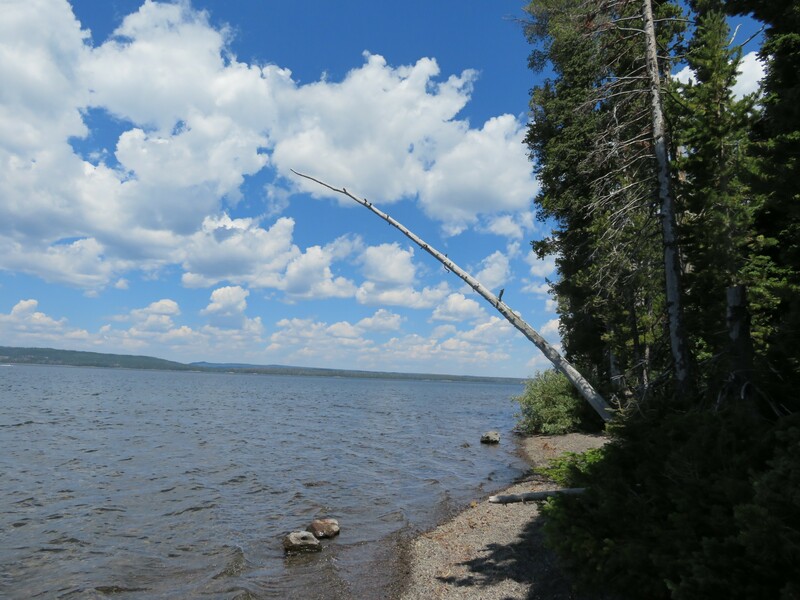 I was able to get out and walk around Yellowstone as oppose to Grand Teton. 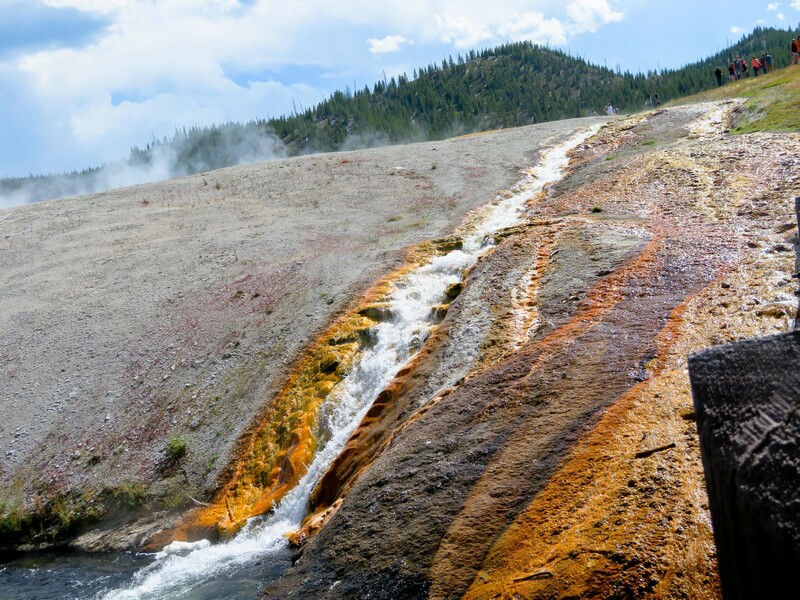 The best way to visit Yellowstone National Park is by renting a car. 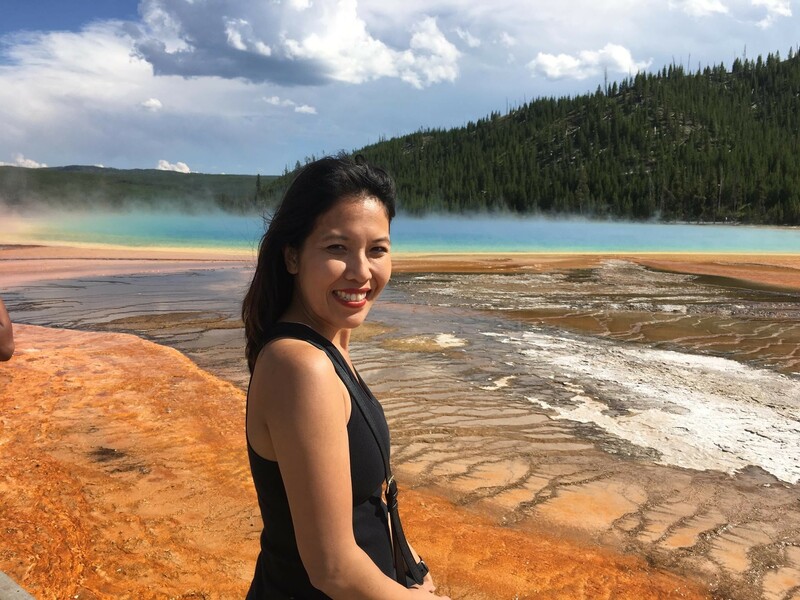 One of my coworkers recently purchase a lifetime National Park pass for $80 which allowed us access to all National Park without any additional costs. You must be at least 62 and a US citizen to purchase this pass and provide an identification card when entering into the park. 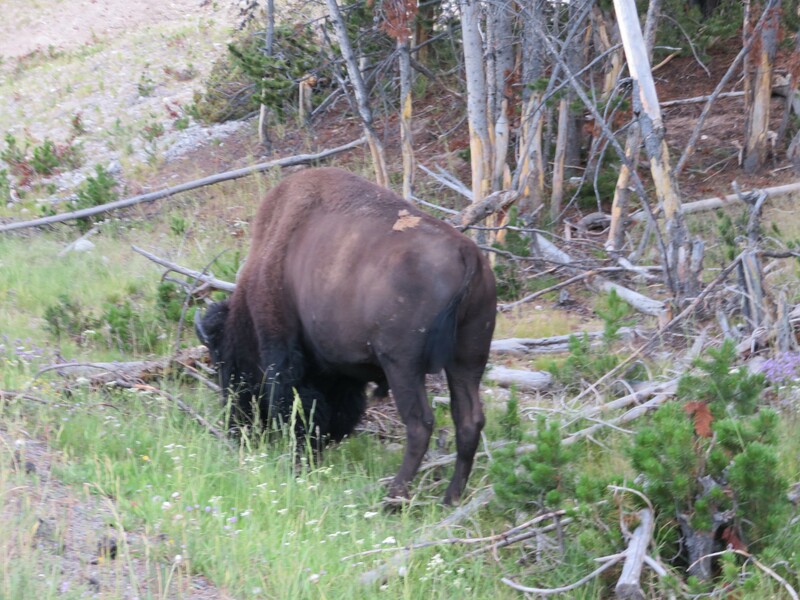 We drove through Grand Teton National Park and straight into Yellowstone National Park on route US 89. My coworker rented a Toyota Corolla with Enterprise. It was only a midsize car but the vehicle was spacious enough for the four of us. 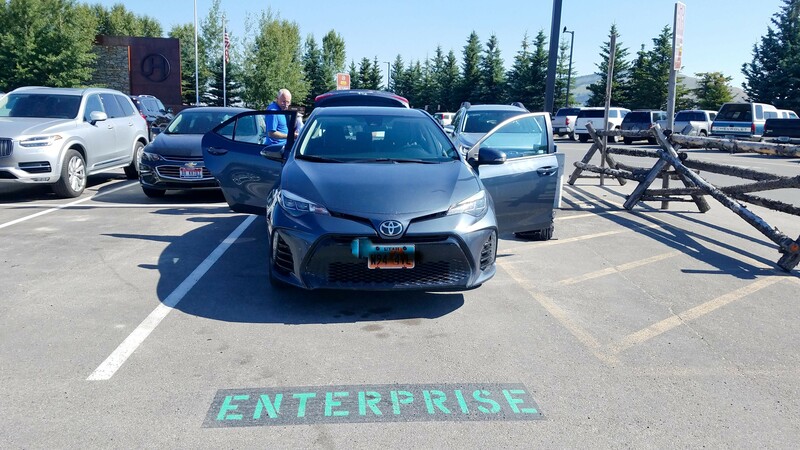 The Enterprise booth was located inside Jackson Hole Airport and we didn’t have to go far to get to the vehicle . We were out on the road within an hour of landing in Jackson. The drive was not difficult at all. The roads were wide and only one lane drive most of the way. Traffic isn’t too bad but we came across several animals on the side of the road causing a little congestion. Speed limits is 55 in the day time and 45 at night. 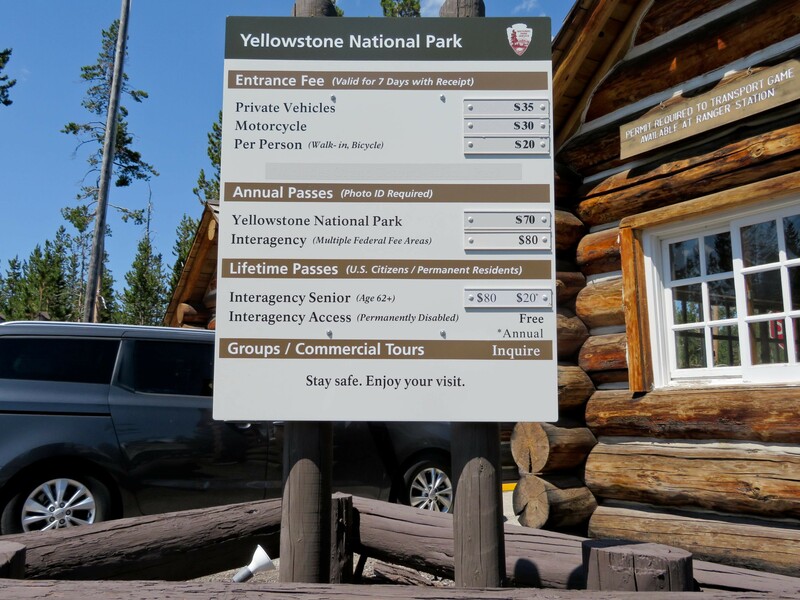 Entrance to Yellowstone National Park is $35 per vehicle. 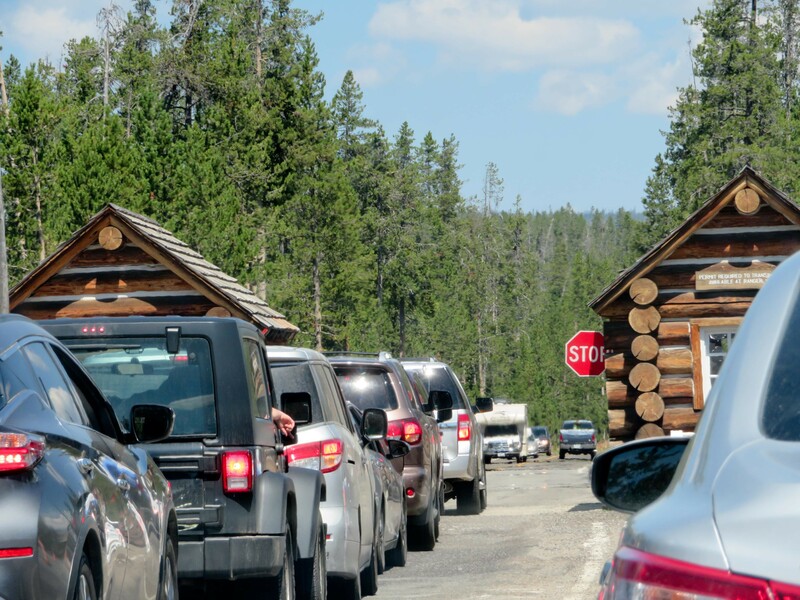 The pass is valid for up to 7 days and your Grand Teton pass will not allow you access into Yellowstone. The line was pretty long on a Thursday afternoon. There were 3 open booths, the 2 left lanes are for paying to enter into the park and the far right lane are for pass holders. 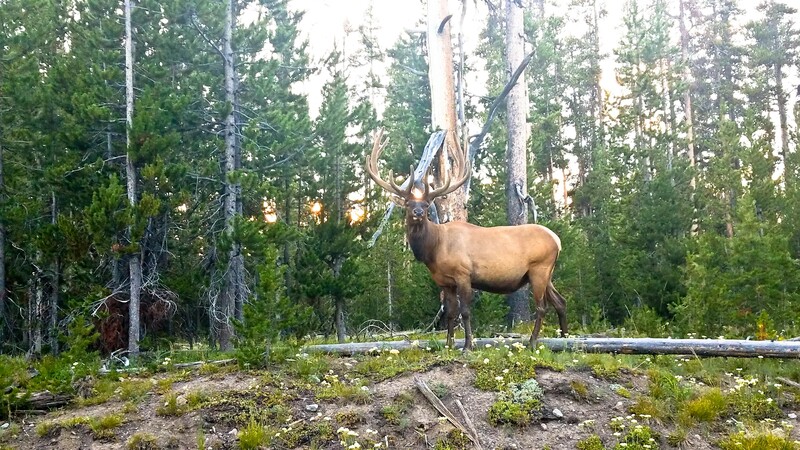 There is so much to see at Yellowstone. 3 of us were Yellowstone novice and our driver was our expert. 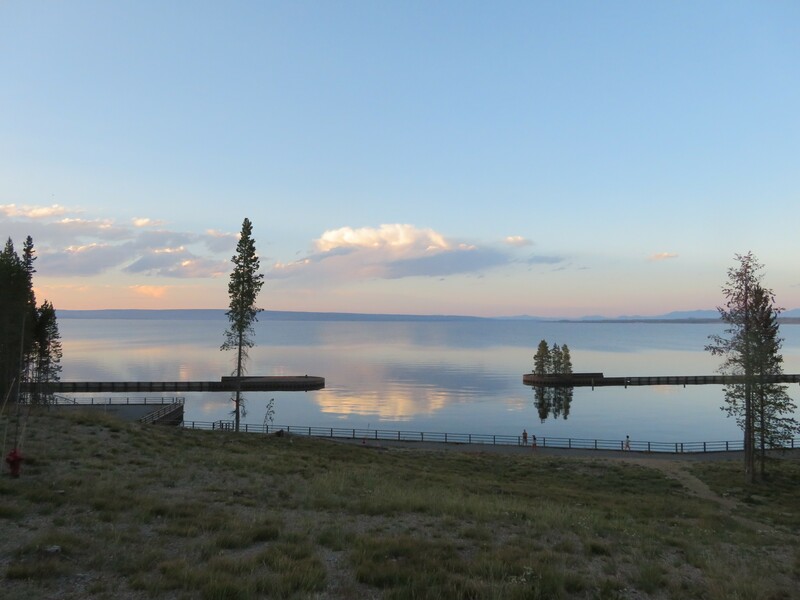 He created a clear itinerary for us and the must see landmarks of Yellowstone. Here were our hotspots. 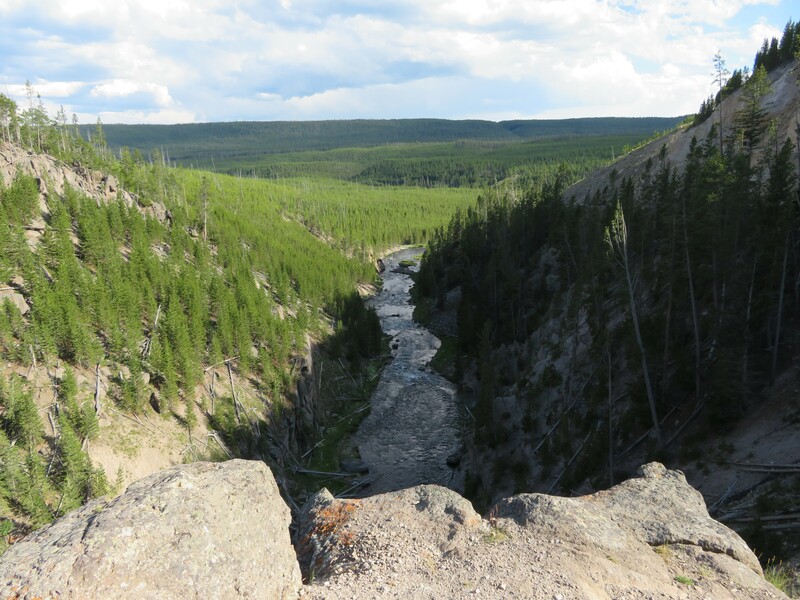 The first stop was located just a short drive after the Yellowstone entrance on route US 89. 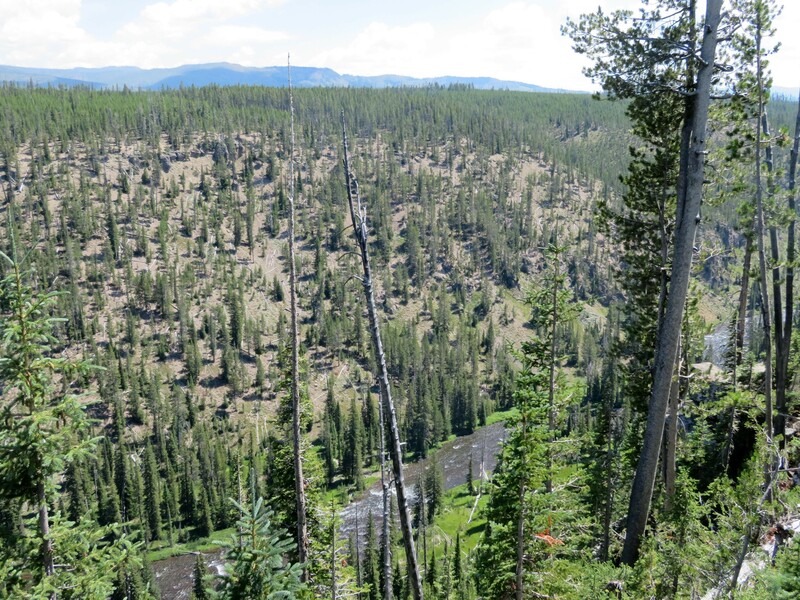 We stopped by a small lookout in Moran, WY with a view of the new born trees and the Lewis River. 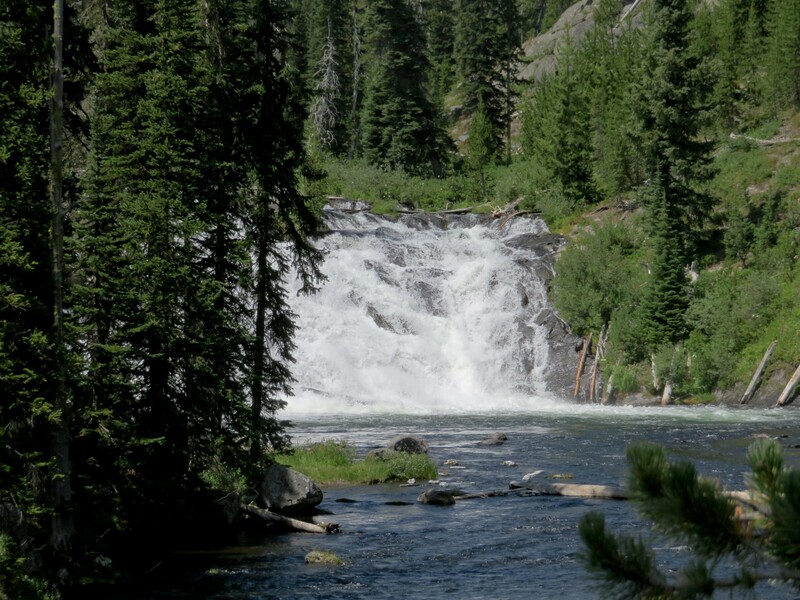 Lewis Falls is the first waterfall we saw on our drive in Yellowstone. This is a wonderful place to take off your shoes and soak your feet in the water. The temperature of the water is just right. Jackson Lake Overlook is a great place to walk down and enjoy the lake. You can soak your feet in the water and take in the view of the mountains. Absolutely breathtaking! Old Faithful is the most famous geyser in Yellowstone due to their predictable schedule. Old Faithful erupts every 35 to 90 mins and typically lasts 1 to 5 mins. 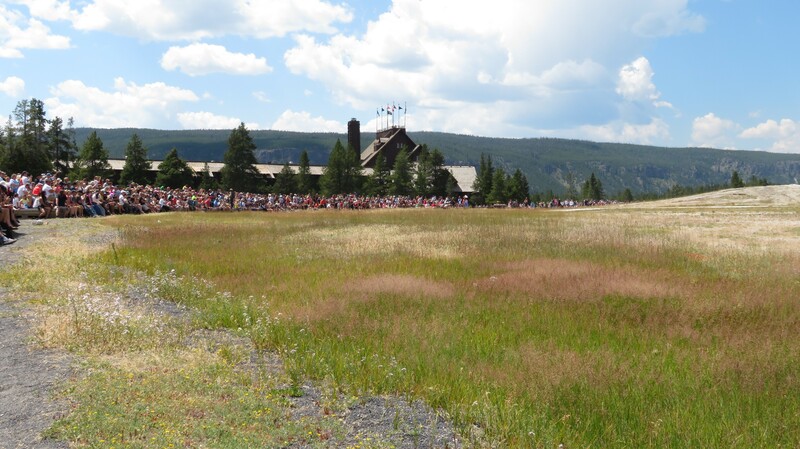 The geyser draws a huge crowd just before the eruption so parking may be a bit difficult but not impossible. 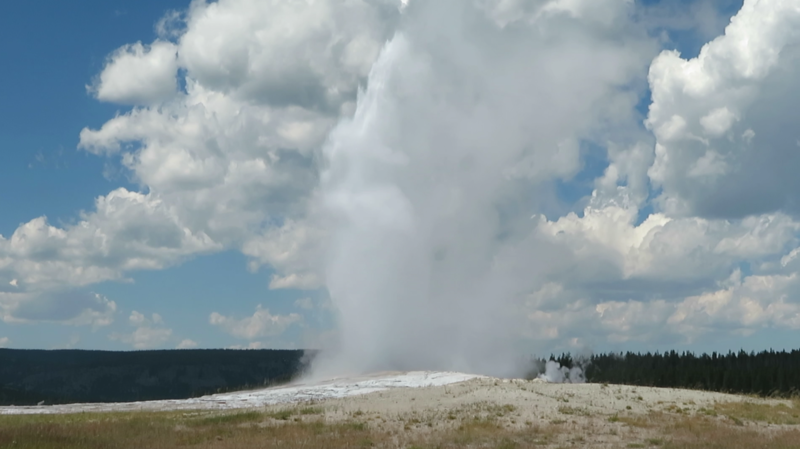 Old Faithful is said to be the most popular attraction at the park. 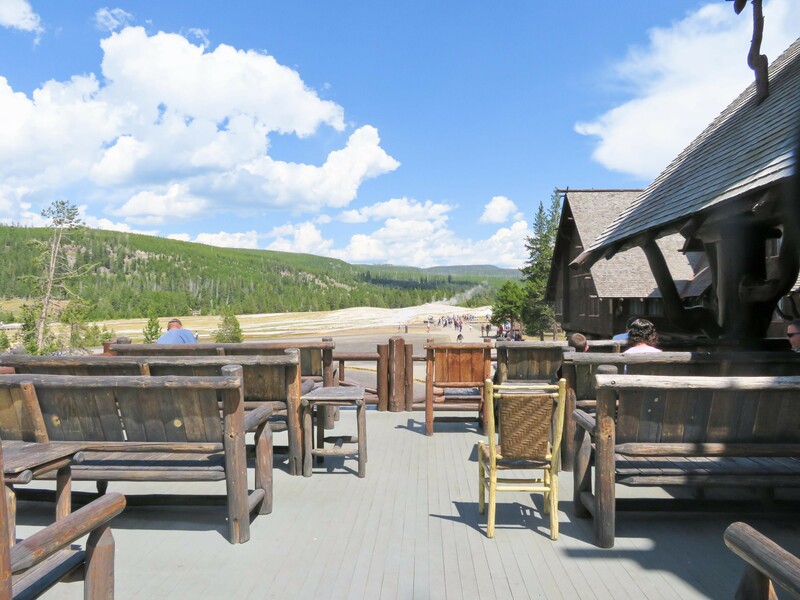 There are several benches where you can enjoy the eruptions from Old Faithful and from other surrounding geysers. I witnessed about 3 other eruptions from other geysers, one lasting about 6 mins long. Old Faithful erupted and it was spectacular. This particular eruption continued on for a staggering 4.5 min. 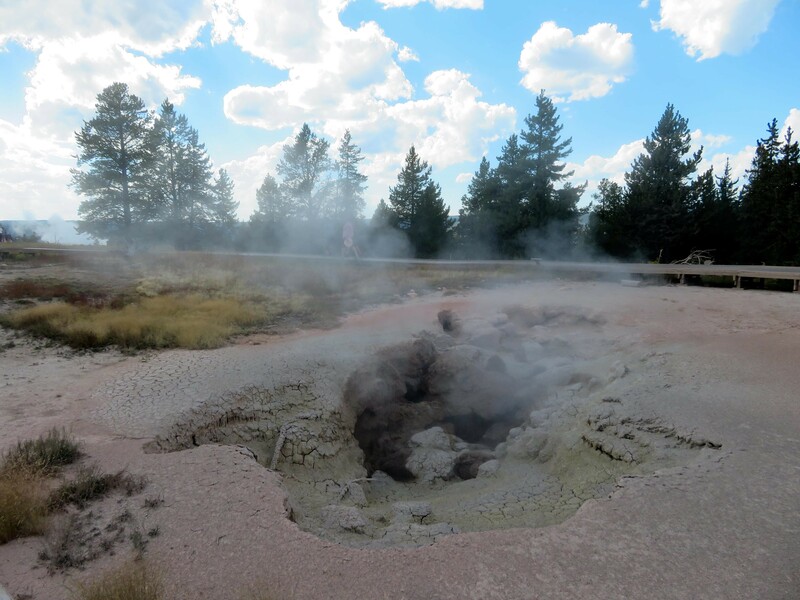 Even though Old Faithful is the most popular, don’t be surprised if you see other eruptions throughout the park. 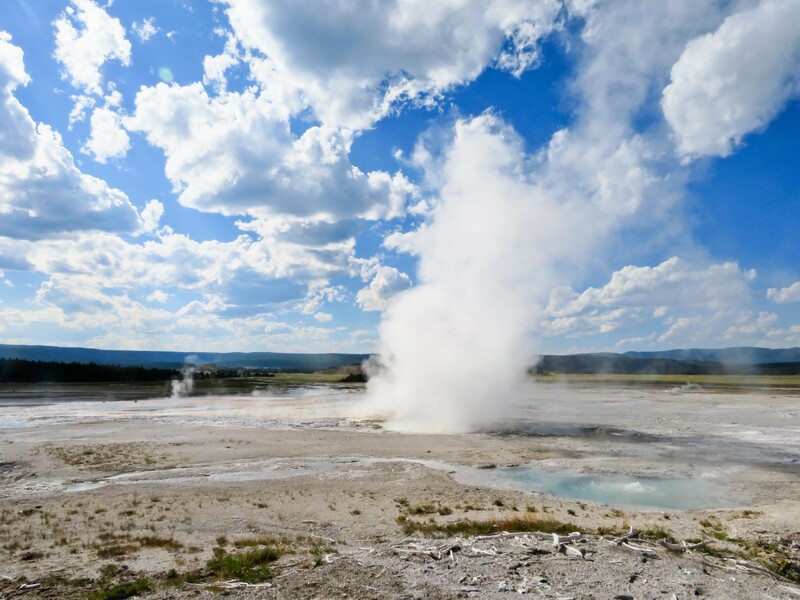 Yellowstone contains the most known geysers in the world with 500 geysers and 10,000 thermals. 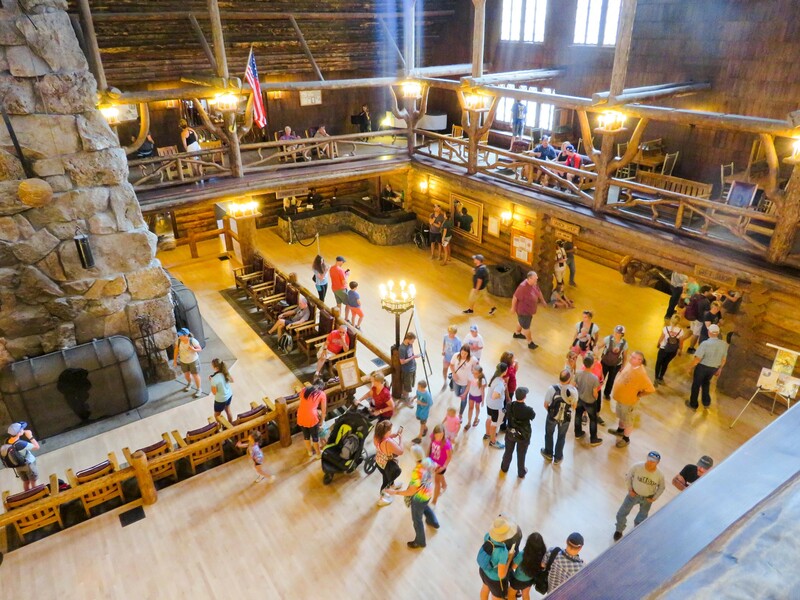 Old Faithful Inn is a historic log lodging hotel just a few steps from Old Faithful. 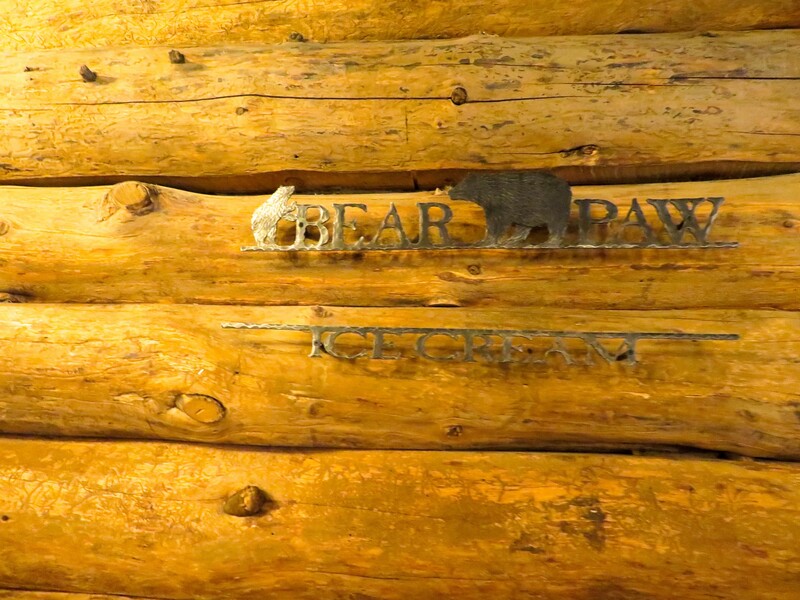 This rustic hotel provides a relaxing environment for those who enters. The hotel is 4 stories high with a live violinist performing on the 2nd floor. The tunes echos throughout the building. It’s mismerizing and adds a splendid touch. 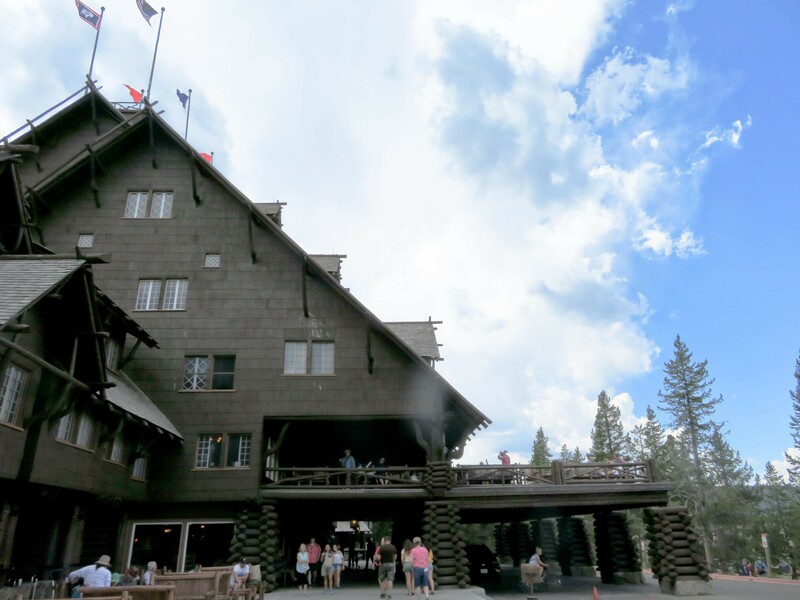 The hotel also offers a spectactular outdoor viewing of Old Faithful. 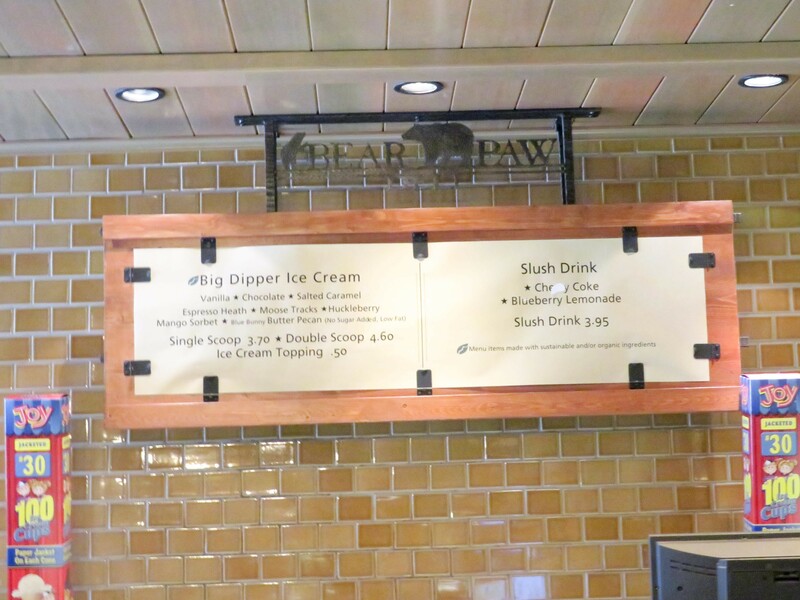 Do not leave Old Faithful Inn without experiencing a taste of Bear Paw Ice Cream located at the bottom level of the hotel. The line is long but it is worth it. 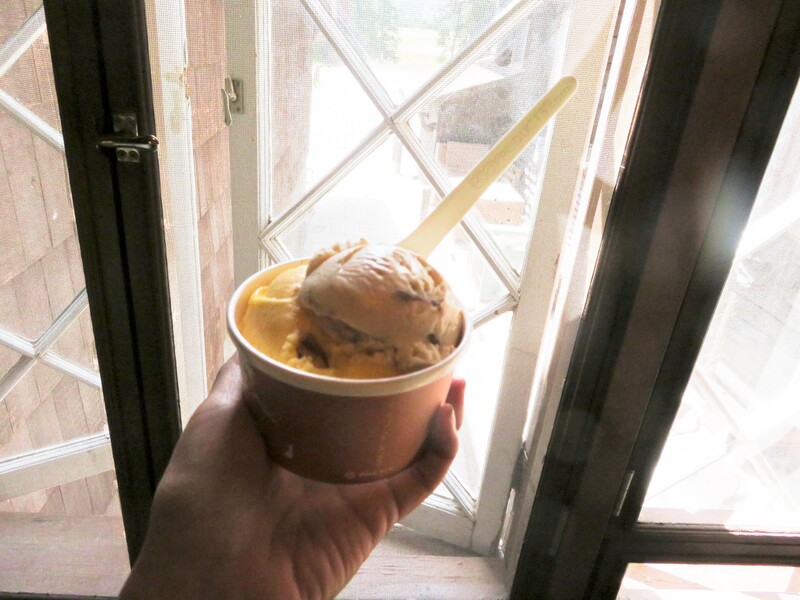 There are 8 flavors to choose from and it is only $3.70 for a single scoop. The scoop is massive! I swear, I had 3 scoops in my cup. Midway Geyser Basin is another popular attraction in Yellowstone. 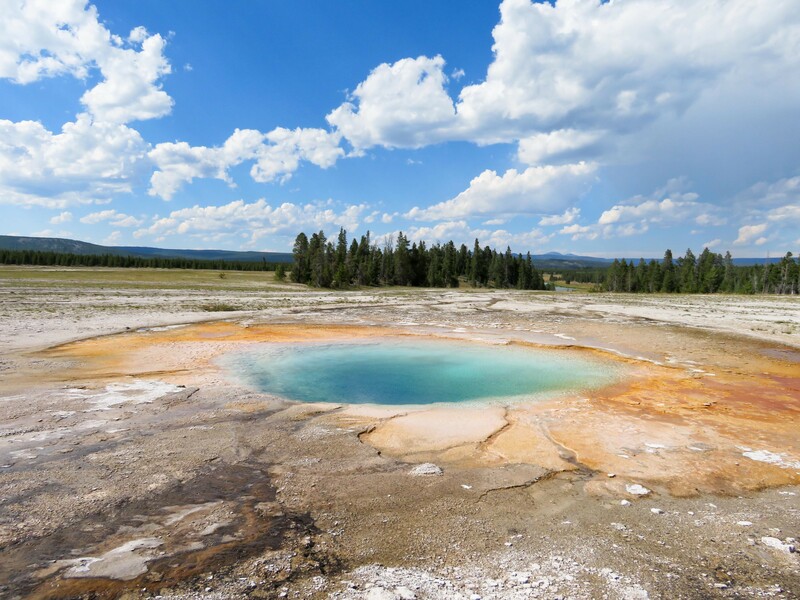 The basin includes the Grand Prismatic Spring, the Excelsior Geyser Crater, and several pools. 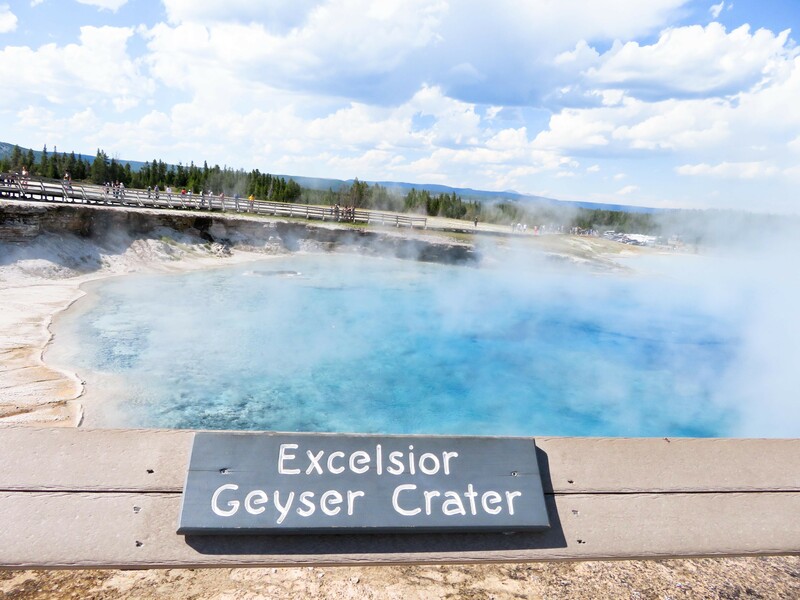 Excelsior Geyser is a bright blue dormant geyser that was once very active. On a clear day, you are able to see Excelsior’s boiling point. The excess water does run into the Firehole River that you see as you head towards the start of the Midway Geyser Basin. 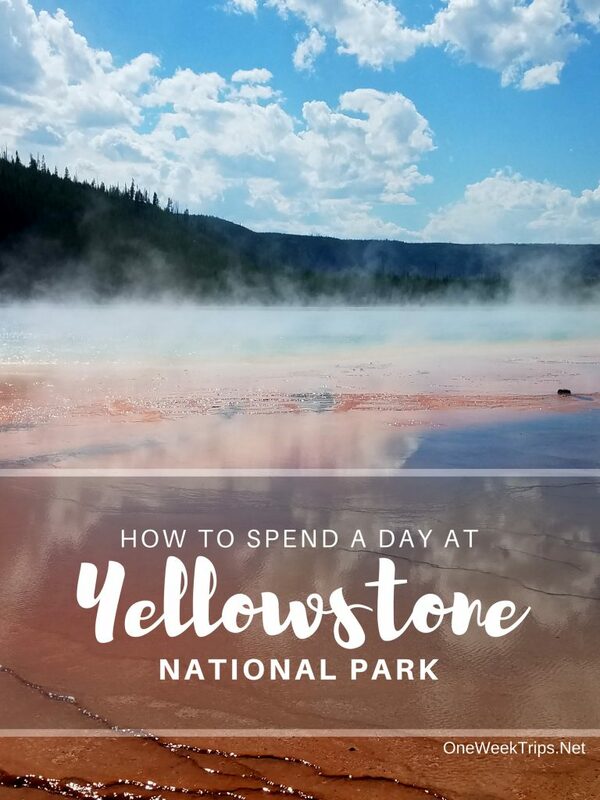 As you make your way through the Midway Geyser Basin pathway, you will come across one of the most photographed attraction in Yellowstone, the Grand Prismatic Spring. The Grand Prismatic is the largest hot spring in the United States, 3rd in the world. Out of all the springs I’ve seen, this has to be my favorite. I was completely tranced by the rainbow colors of the Grand Prismatic. I couldn’t take my eyes off such beauty. I had to admire the spring in every corner! I took a few shots but it just didn’t do it justice. On a side note: Please respect the spring and not tag the area and do hold on to your hats. It does get windy and I did see a hat laying just outside the spring. There were 2 other pools along the Basin, the opal pool and the turquoise pool. 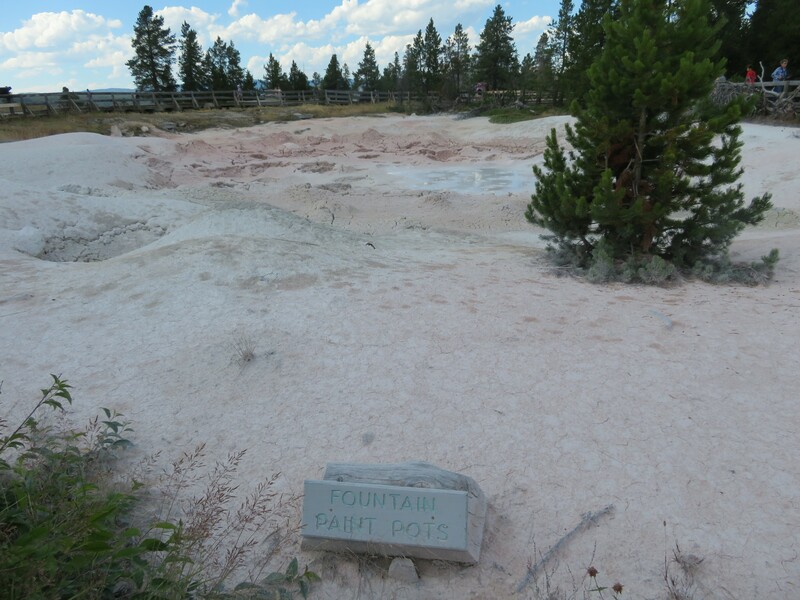 The Lower Geyser Basin has several highlights including the Fountain Paint Pots. Fountain Paint Pots is a mud pot with little mud balls that jumps from opening spouts. Red Spouter isn’t much to look at but you can hear it boiling as it is getting ready to erupt. The Great Fountain Geyser erupted as we were standing on the boardwalk. The water splashed into our faces. The smell was of rotten eggs. Delicious. 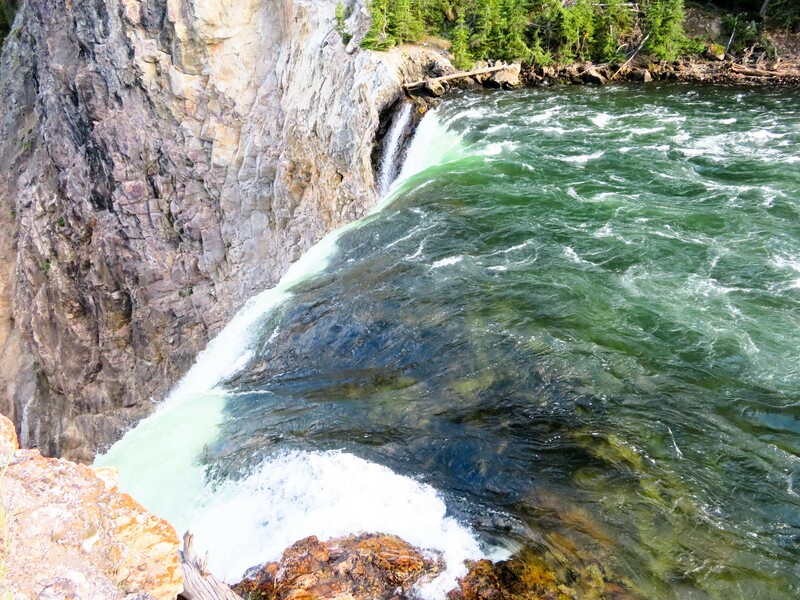 We drove by Gibbon Falls Overlook and I just had to pull over to check this out! 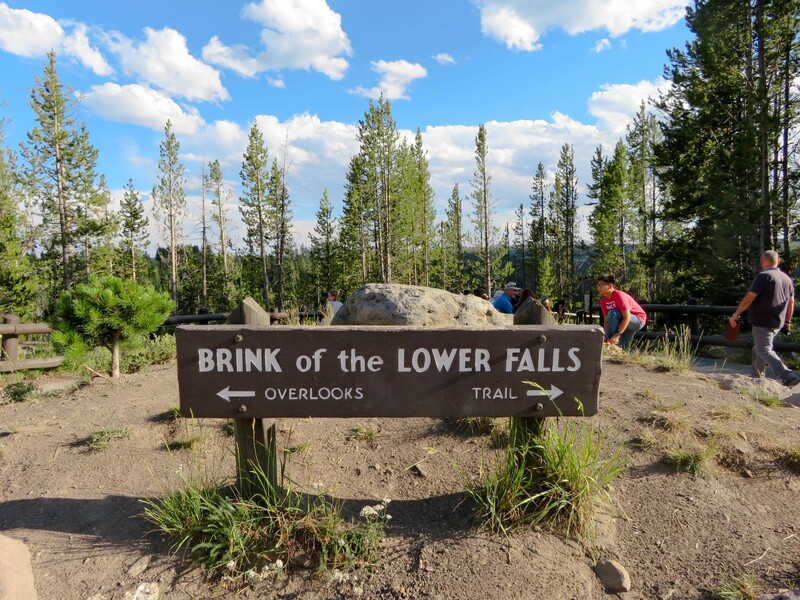 Yellowstone Lower Falls give visitors 2 options to view its cascade: Overlook or Trail. 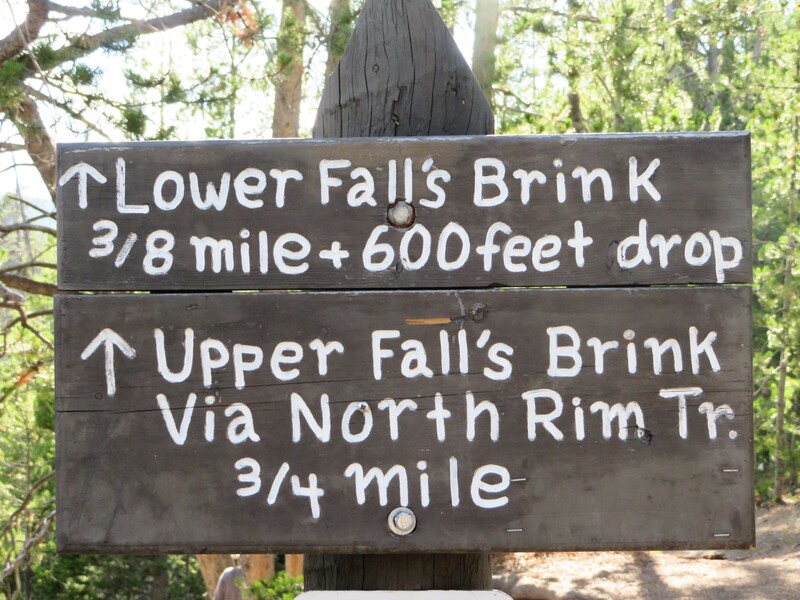 We took the short steep 600 feet drop trail down to the waterfall. The hike down was easy as long as you have proper shoes. The walk up is a bit more challenging because it feels like you’re just walking vertically. Nonetheless, this trail is worth it for its stunning view. From Yellowstone Lower Falls, we made our way back down to Jackson Hole where we were staying. We came across a few wildlife along the way as the sun was setting. We were getting hungry as we made our way down south to Jackson. 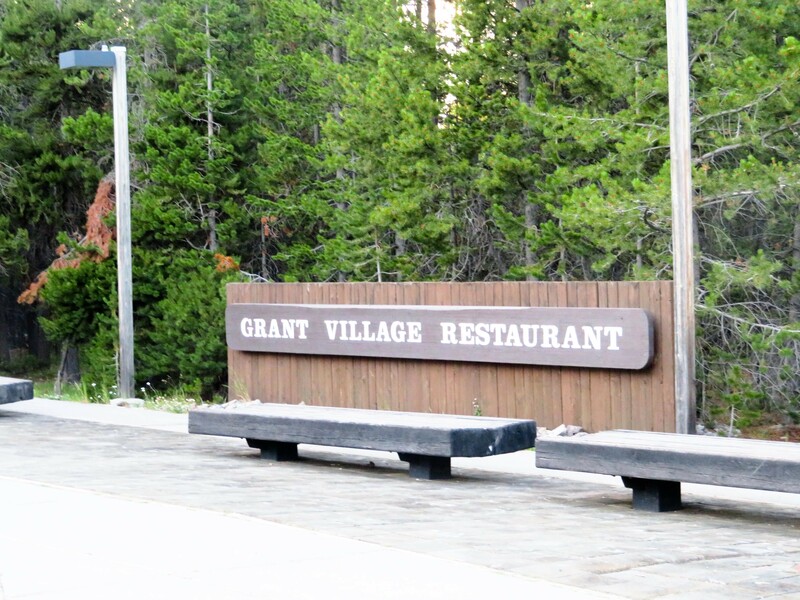 We came across Grant Village Restaurant. The decor was beautiful. The restaurant had high ceilings and the porch has a specular view. I ordered the Montana Mule which wasn’t my favorite mule but it made me content. 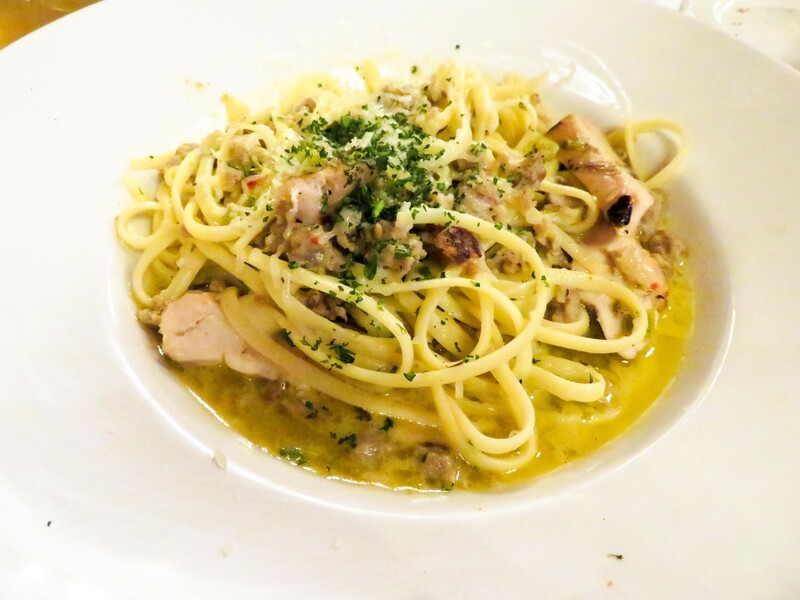 For dinner, I ordered the 6oz linguini with tuscany chicken for $14.95. Drools! It was the perfect portion for me.